This 8-foot paddleboard packs all of our great Bluefin SUP features into a small but mighty package. This SUP is designed for people that are 5’3 (160cm) or smaller. The board was designed with kids in mind, but would be perfect for adults of a shorter stature. All of the Bluefin Cruise JR’s design features are tailored to improve the paddle experience for petite paddlers. 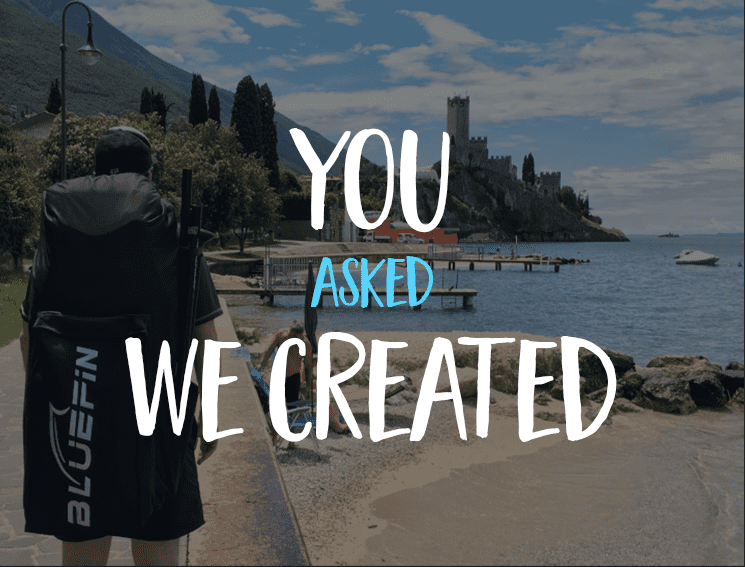 We aim to make paddleboarding accessible for all and this board is something we are really proud of! Efficient Double Action Pump – this pump will inflate your Bluefin Cruise Junior on both the UP & DOWN inflation of every pump. 5 year warranty – this is a standard with ALL Bluefin SUPs. We offer a 5 year warranty guaranteed from the date of purchase, to find out more click here. Outstanding Customer Service and Support – our dedicated team are always on hand to offer to advise and support throughout your Bluefin paddling experience. You can contact us here. Bluefin SUP Community – as with ALL of our boards, when you buy from Bluefin SUP you don’t just get the board – you join our Community too! We want to hear about your paddleboarding experiences, where you SUP & how you use your Bluefin Cruise Junior. We are really lucky to have an awesome and engaged community that supports each other. Check out our Social Media Channels below! Lightweight fibreglass paddle – NEW fibreglass SUP paddle that is scaled down and the perfect size for the Bluefin Cruise Junior. This paddle floats, is impossible to chip and is 45% lighter than a normal SUP paddle. This paddle is suitable for children aged 3+. The bag, although the same quality and design as our other Cruise models has been scaled down. With extra padded straps, we want you to be as comfortable as possible whilst travelling to your next SUP spot. Versatile 8″ centre fin – with its optimised rake this easy-to-use fin provides ultimate glide and versatility for day to day paddling. No metal parts to lose, kids can clip it in securely in seconds. As we have already said, this paddle board is something we are extremely proud of. We think it offers a complete, versatile and all-inclusive SUP package for kids and adults alike. It offers the opportunity for smaller adults to be in control of their board and for children to make the most of stand-up-paddling. With all of the upgrades we have made including; the fibre glass paddle, easy-to-use fin and our comfortable and lightweight bag, this SUP is the missing piece from our Bluefin SUP range. We really hope you love it as much as we do! What are your thoughts on the Bluefin Cruise Junior? !